When I talk to my friends about how cold it is outside, I’ll often say something like, “It’s 25° this morning”. I know that is around -4°C (I am more used to using Celsius since I am from a country which uses the metric system), and that that is quite cold. But before freshman lab, I never thought about how to measure ‘coldness’. Measurements were already there even before I was born, and I just took them for granted, fitting myself into the thinking. 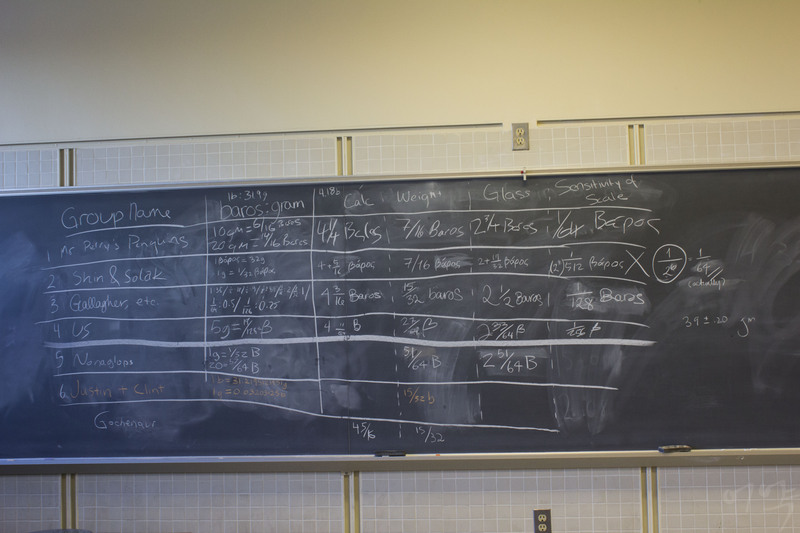 In freshman lab, we recently began a unit on measurement, and we’ve focused especially on ‘what’ measurement is and the difference between various units. 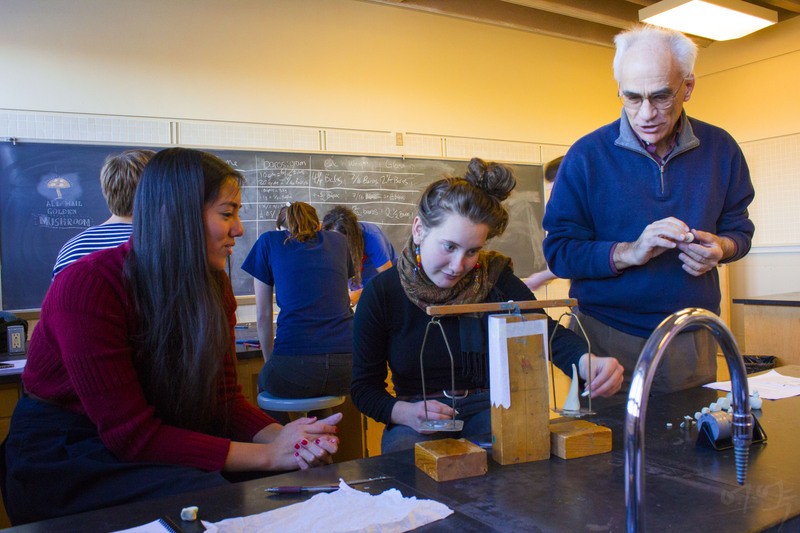 By assigning units to measure temperature, we were able to express ‘how much’ the difference is between warm water and boiling water, and not simply that one is hotter than the other. But measuring weight was a little more complicated. In order to compare two objects in one unit, one has to come up with something that can be a common measure of the two. In the first practicum I worked on, we defined a unit of weight–the βάρος. βάρος literally means ‘weight’ in Greek, but it represents an arbitrary unit to replace the preexisting concept of unit in students’ mind at St. John’s. 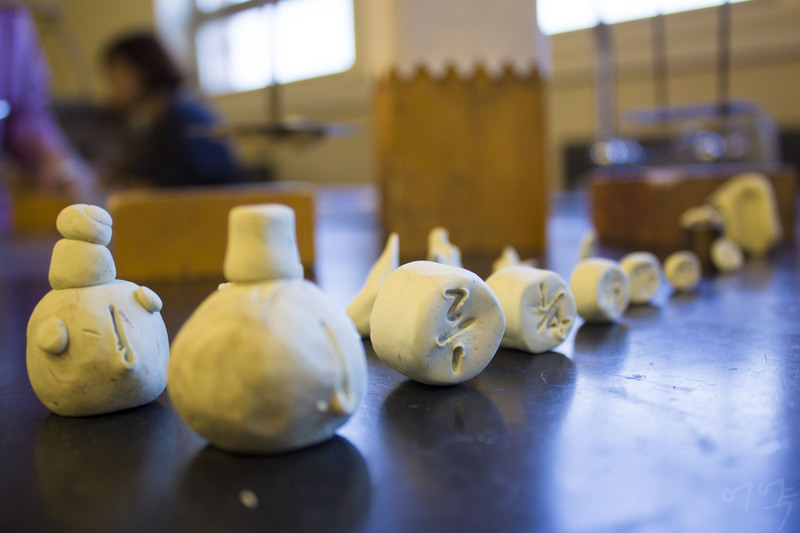 I worked with my lab partner Büşra to use clay balls to make a unit βάρος, and compared our the unit weight on a balance scale to weigh various objects. We could then describe the weight of an object by how many βάρος were needed to balance the scale. We realized we were comparing and substituting the unknown weight of an object with something else that was perceivable to our senses. 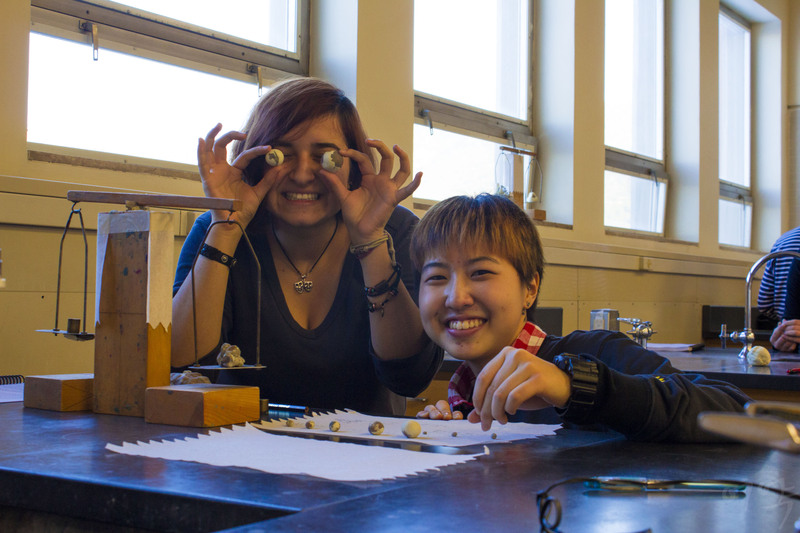 That ‘something else’ was a clay ball in this practicum, or some multiple of equal clay balls. 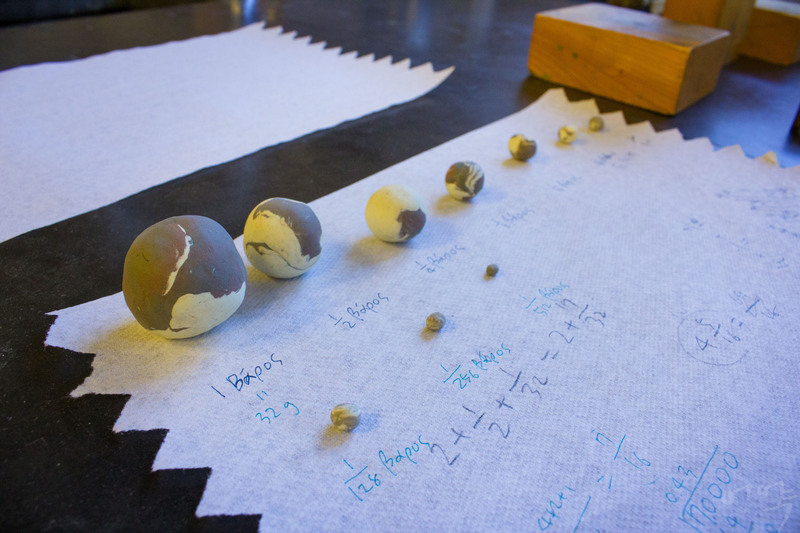 The essence of this exercise was not in finding the numbers of clay balls needed to measure an item, but in the process of quantifying and comparing two different things. In doing this, we were then able to say that the calculator is heavier than the scissors by around one and half βάρος–we can use our system of measurement to describe the difference between objects that are not the same. Quantification replaces the vague ‘heaviness’ of an object into something constant and commensurable. Though simple, the physical approach of seeing the world begins here; quantification makes the world into something that can be measured, and not just vaguely felt by five senses.